For work, generally, I use a Filson, which is canvas and leather, doesn’t look like a backpack (a plus) and works fine. One of my best purchases was made a decade ago; a Mandarina Duck bag I scored while in Italy. From what I could tell they don’t make it anymore — it’s a black duffel that has hidden shoulder straps if you want to carry it on your back. I think I used those once in ten years (shoulder strap is fine). I have this thing about luggage-on-wheels. I understand that it’s practical, but I can’t pull the string. I dunno, if it’s too heavy to carry then unload it and try again. Seems a little geriatric. It’s about time to retire the Duck, but not critical. Sailing is. So I’ve tried a couple bags sailing. And by sailing lets say day-sails, racing, or even long weekends — nothing major. Ideally, this new bag would work as a day-pack as well. For overnight outdoors I have an old (decade) Marmot Shooting Star (3500 Cubic inches), another bag no longer in production. I’ve looked at the usual bag suspects and have included a bunch of links. But I saw only few good choices for sailing. Most “sailing” bags are 100% waterproof which is kinda important, but most of the time your bag won’t get wet. I think waterproof bags/sacks inside a water resistant bag is fine, so I went with it. For interior waterproof bags I use Pacific Outdoor drybags with an airvent (pneumo) that allows you to compress the air out of the bag easier than a regular roll-top. They’re great. 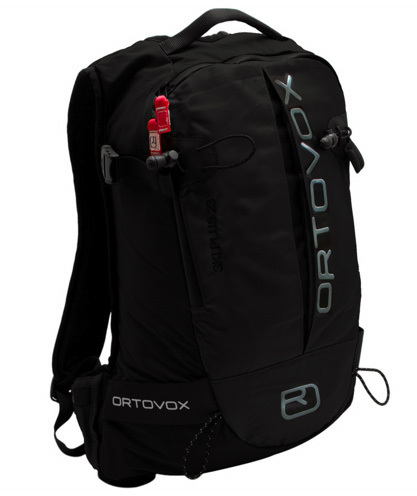 and even more not worth mentioning, I went with Ortovox, (pictured above) why? This entry was posted by John Pasmore on Sunday, March 28th, 2010 at 9:12 pm	and is filed under Outdoor and tagged with backpack, daypack, harken, mandarina duck, ortovox, pacific outdoor, Sail, Sailing, water resistant, waterproof. You can follow any responses to this entry through the RSS 2.0 feed.